Bangalore, 9th Aug 2018 – In line with its endeavor to create ever better sustainable society, Toyota Kirloskar Motor further drives an environment friendly car cleaning solution, thus reducing the water consumed for washing cars through their new Eco Car Wash service. This eco initiative environment-friendly supports to maximize the reduction of water utilization to an extent of 95% for every single car cleaned at Toyota’s service outlets. 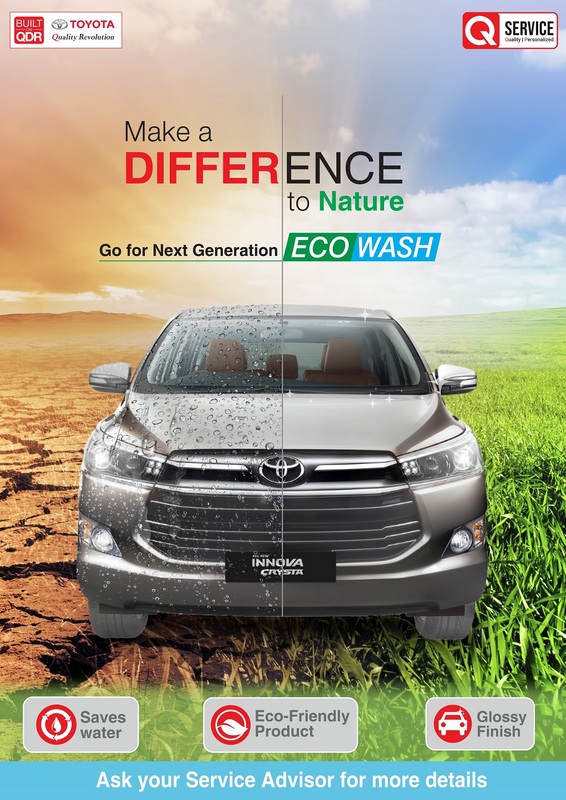 Toyota Kirloskar Motor, was the first in the industry to introduce Eco Car Wash in the year 2014, have always been the forerunners of eco awareness and sustainable solutions towards conservation of natural resources. Toyota has been striving relentlessly to conserve the scarce water resource by introducing the eco car wash across its dealership over the years. Till date, 100 plus dealerships have adopted this eco concept of car wash to offer best-in-town vehicle servicing experience to its customers in the region. Toyota has developed video manuals and standard operating procedures to train the technicians on this unique car wash technique, offering quality service while achieving 100% customer satisfaction. Globally, Toyota takes inspiration from the ‘Toyota Earth Charter’, and has formulated environment friendly policies for its business operations, which have been followed since 1992. The company remains committed on the vision of greener tomorrow and have announced long term eco-initiatives towards the society and environment through their Global Environment Challenge 2050 which is in alignment with the UN Sustainable Development Goals (SDGs). Out of the total 17 challenges, 12 are directly linked to the six environmental challenges declared by Toyota. Toyota India is declared as the ‘Model Plant’ leading two of Toyota’s Environmental Challenges 2050, in the Asia Pacific region [out of 6 global environmental challenges], representing Zero CO2 emission plant and minimum water consumption. Under the collaborative approach, TKM has also designed unique initiatives to raise awareness among its stakeholders and inspires them to be future change agents. With this waterless car wash at dealerships, Toyota contributes to around 253 million litres of water savings annually, while ensuring 100% cleanliness of the cars. ECO wash is a unique concept which gives a fine finish with zero water usage, by cleaning the vehicle with eco-friendly products without affecting the environment and preserving the most valuable natural resource – Water. The ECO wash products used at Toyota dealerships are ready to use water-based formulation designed to effectively clean dirt & grime from vehicle painted surface without damaging the surface. Easy to use, dry wash is a water-based product. This new eco product delivers to the customers the perfectly cleaned cars at no extra cost and no extra time over the traditional water wash. 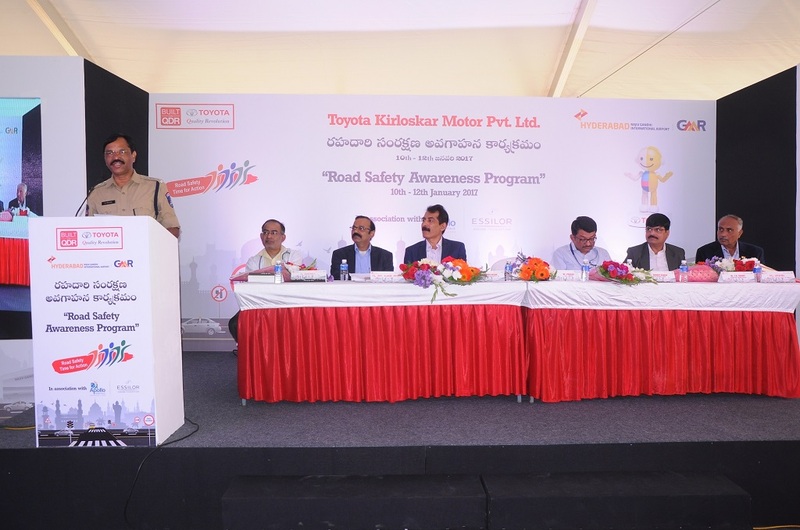 Commenting on the eco-concept service at dealerships, Mr. N Raja, Deputy Managing Director – Toyota Kirloskar Motor, said,” At TKM, eco initiatives have always been the top priority. In progression with India’s ‘National Water Mission’, we have been steadily implementing desirable measures towards conservation of water, taking the local operational needs into account. We, at Toyota, have adopted varied methodologies to effectively minimize the water consumption and usage of recycled water in our manufacturing operations, while ensuring lower impact on ground water levels. In addition to reduction in water consumption, this eco method of car washing at our service outlets helps to avoid possible contamination of soil channels that occurs with the use of alkaline solutions in shampoos under conventional car wash. Going forward, TKM plans to expand the eco car wash to its other service dealerships, as a part of their green initiative with a view to outreach larger number of customers availing this eco service and contribute to enhanced water savings. On the other side, customers are also excited to be a part of this new initiative, and have been appreciative of this excellent eco based car service offerings of Toyota with even better cleanliness of their cars. 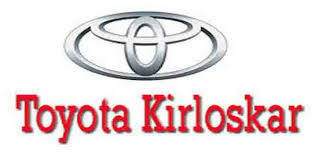 Toyota Kirloskar Motor has undertaken several unique environment friendly initiatives to preserve the Mother Nature. Many eco-initiatives are being implemented in the manufacturing operations to reduce water consumption to almost ZERO by adopting sustainable methodologies. On fresh water consumption, 92.8% of TKM’s water demand for manufacturing is met by rainwater harvesting and recycled water. The purchased fresh water consumption in overall manufacturing is only @ 7.6%. By 2025, TKM aims to be SURPLUS on water with ZERO fresh water consumption at plant, while also focusing to cater to the local community water requirements with such surplus water generation through rain water harvesting & other water conservation methodology adopted at our manufacturing facility. Apart from the above plant initiative, TKM has also undertaken community based eco initiative through rejuvenation of the Lingegowdanakere Lake spread across 3.5 acres [Ramnagara District, Karnataka] to enhance ground water levels, catering to water requirements of the local community in Bidadi region during water scarcity period owing to low rains, sustain the rare bird species from extinction in the region & contribute to increase the agricultural produce of the region.